Fuel cards are essential to manage costs and a transparent and efficient administration. Each card and each provider has advantages and disadvantages. But did you know that with DKV Euro Service you can have the best of many worlds? One example is the DKV Card, a full-service card which allows you to fuel across Europe using the largest supply network in the industry. 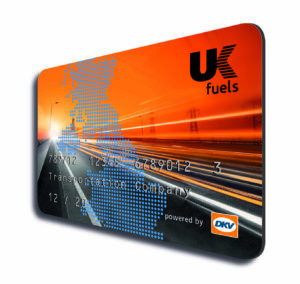 But, as customer of DKV you can also add cards from UK Fuels and Keyfuels to your account. Partnerships between DKV Euro Service and these two providers allows you to combine the large supply network from DKV across Europe with the advantages offered by UK Fuels and Keyfuels, such as competitive fixed weekly pricing. 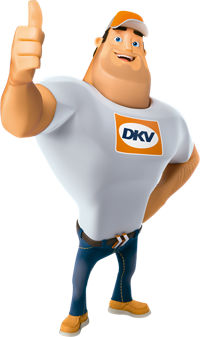 The DKV CARD is the standard fuel card from DKV Euro Service. However, this card is by no means standard: only the standards are high. It’s not without reason that the DKV CARD has been selected as the Fuel Card of the Year for the commercial carriage of goods and passengers for the 14th time now. This card is not just a fuel card, it’s a full-service card. This means all services and goods including fuel, lubricants, ferry services, tires and tolls can be paid by using this card. The DKV Card is accepted across Europe at nearly 70,000 acceptance points, by far the highest in the industry, and more than 100,000 customers in 42 countries already benefit of the use of their DKV Cards. Many customers of DKV Euro Service combine the DKV CARD with one or more additional services, such as settlement of tolls with On-Board-Units, such as the new EETS-compliant DKV BOX EUROPE (the OBU that will soon enable toll payments throughout Europe with one box and one invoice) or swift VAT and excise duty refunds. 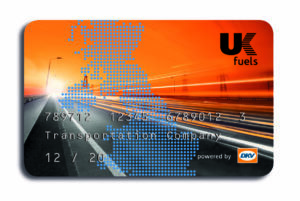 If you want to take advantage of competitive weekly pricing for diesel in the United Kingdom, you can opt to add the DKV UK CARD (on UK Fuels) or the DKV Keyfuels card to your DKV account. There are no card charges, and the fuel settled with these cards will appear itemized on same single monthly invoice from DKV. The DKV UK CARD offers access to 2,000 sites and stable fixed weekly pricing and competitive pump pricing. Keyfuels offers, like the DKV UK CARD, a fixed weekly price for fuel that’s cheaper than standard pump pricing. As an additional service DKV distributes the weekly prices for both Keyfuels and UK Fuels on a via email to their customers using these cards. As customer of DKV Euro Service it’s easy to add one or more of these cards to your account. Simply e- contact orders@dkv-euroservice.com. For more information, you can also call the DKV expert team at 0800 1970366. Summarized, with the selection of fuel cards from DKV for Great Britain, you are covered both locally and overseas. You are working with a professional company with over 80 years of industry experience. You gain access to an extensive network for fueling and related services, with access to approximately 2000 sites in the United Kingdom and over 70,000 acceptance points across Europe. After adding one or more cards from our partnerships UK Fuels or Keyfuels to your account you will also benefit from weekly, fixed competitive pricing without additional fees. As customer of DKV you can also add a range of European services to your account, either through the customer portal DKV COCKPIT or by sending an email to orders@dkv-euroservice.com. Examples of these products and services are on-board units to settle tolls across Europe, VAT and excise duty refund services and a range of online services for planning, reporting and analyses and 24-hour emergency services. And with all costs itemized on one clear monthly invoice you will save your finance department a lot of hassle and headache.